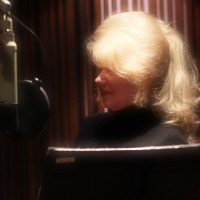 Jazz Vocalist Kris Russell was born and raised in Sacramento, California. As a teenager she discovered her passion for singing jazz music, but recalls singing from the early age of seven years old. 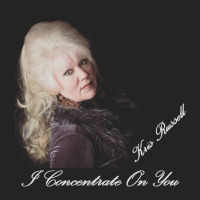 While most of her friends were listening to folk and rock music, Kris was listening to and learning from her parents and their vast collection of jazz recordings. Both her parents were working jazz musicians, and together they formed the Jerry Murphy Quartet entertaining in and around Sacramento and Northern California for over 40 years. Deeply influenced by jazz, singing came naturally for Kris. On those warm, sunny, afternoons in Sacramento learning and singing in her parents’ home, she studied the great jazz singers such as Anita O'day, June Christy, Julie London, Peggy Lee, Rosemary Clooney, Ella Fitzgerald, and Sheila Jordan to name a few. These singers introduced her to ballads, swing, the Great American Songbook, cool jazz, bebop, and traditional jazz among other styles. Her musical style was also heavily influenced by Boss Nova and Samba, spending many hours studying, listening and learning the styles of Antonio Carlos Jobim, Marcos K Valle Leny Andrade, Astrud Gilberto, Sergio Mendez, and Elis Regina and others. Her love of composer Cole Porter inspired her to choose one of his most famous songs for her debut CD. Some of her past appearances in Las Vegas include The Plaza Hotel Jazz Brunch and Showroom, Just Jazz, The Mariposa, The Artisan, Steven David's, The Las Vegas Hurricane Bar Sunday Jam Sessions ,The Sahara Hotel Showroom as a guest vocalist , The Greek Isle Cast Party and The Bootlegger. Kris has also performed at the Smith Center in Las Vegas several times with host Jim Caruso of New York Cast Party, and Grammy winning composer and musical director, and pianist Billy Stritch. Billy Stritch, “Kris Russell is always a memorable addition to our cast-party open mike nights in Las Vegas. Her lightly swinging style lights up the stage and I always love playing for her. I'm always excited to see Kris Russell when I bring Cast Party NYC from NY to Las Vegas! But then....she sings....and everyone is over-the-moon! Kris brings such a great taste and style to her swinging singing-and an inherent understanding of the lyrics. Brava Kris! Jim Caruso Host of Jim Caruso's Cast Party. 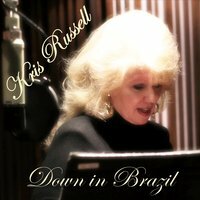 This new release “Down in Brazil was recorded at StudioPros in Los Angeles , California and arranged by Kris Russell and The Mystery Jazz Ensemble, six talented session musicians who all have a repertoire of major label credits. It is a more contemporary and driving Bossa Nova that has a smooth jazz feel because of the emphasis and the inclusion of the guitar and saxophone .With the release of this second new single, Kris decided to incorporate a newer sound and still include the traditional instrumentation and sound of traditional Bossa Nova that she loves. She effortlessly blends into this new recording of Down in Brazil,” the style and the sophisticated sound of those early powerful influences of the great jazz singers she studied while growing up! All About Jazz musician pages are maintained by musicians, publicists and trusted members like you. Interested? Tell us why you would like to improve the Kris Russell musician page.